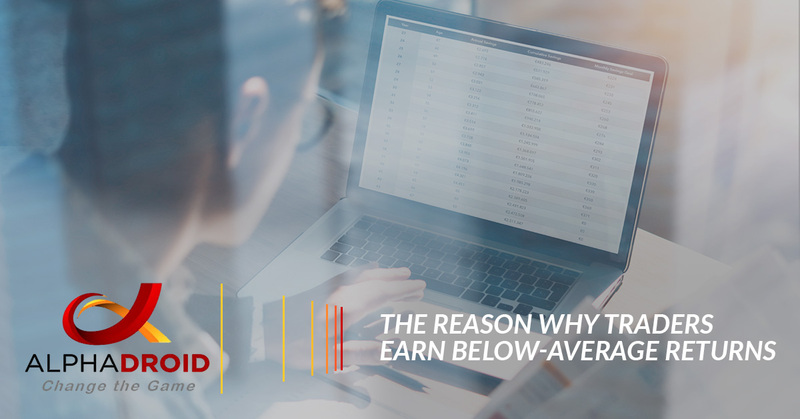 According to a 2017 study conducted by Dalbar Inc., a company that studies the behavior of traders and investors and evaluates investor market returns, data consistently show that the average investor earns returns that are below-average. The S&P 500 Index averaged 9.85 percent a year, for twenty years, which ended on December 31, 2015. Indeed, this is a significant historical return. However, the average equity fund investor earned a market return of only 5.19 percent. Why is this? The behavior of traders and investors is more often than not illogical and influenced by emotion. This does not lead to smart investing decisions when considering the long-term outcome. In this article, we are going to review some of the common moves that average investors make that often lead to a money loss. Numerous studies show that when the stock market rises, investors dump more money into it. And, when it drops, many choose to pull their money out. This action is similar to purchasing a new TV when the price goes up, and then returning it when it is on sale — but you are returning it to a store that will only reimburse the sale price. This incoherent action will lead to lower market returns that are significantly less than past stock market returns. It can be easy to overreact when trading, however, this emotional decision will often lead investors and traders to make senseless decisions. During times of personal uncertainty, many traders have the tendency to overreact. Whether it’s good or bad news, overreacting about the idea of getting in and out of the market at the right time puts investors on a fast track to lose money. Rebalancing a portfolio to the targeted asset allocation is often a challenge for average investors and traders. Many investors make the mistake of hanging onto asset classes currently doing well to purchase classes that are doing badly. However, rebalancing is important for keeping portfolios on track and preventing them from falling too far away from the trading plan. It is especially important for ensuring that your portfolio doesn’t fall into the trap of performance chasing, which ultimately leads to trouble. One of the best ways investors and traders can protect themselves from their own urges to make unwise emotional investment decisions is to automate their reading with an algorithmic trading platform. Automating your trading has numerous benefits, but most importantly, it prevents traders from overreacting, buying high, and other money-losing moves. If you have not yet tried an algo trading software, try a free trial to see if it fits your investment style. Until then, consider these tips to make wiser investing decisions. Let it be. While it may seem counter-intuitive, it is a wise and conscious decision to do nothing at all sometimes. Have financial goals changed? If traders and investors build their portfolio around long-term goals, a short-term market change shouldn’t matter. Don’t Sell Equities In A Low Market. If your funds are allocated properly, you should not have a need to sell equities during a negative market cycle. Rather than selling equities during a bear market cycle, wait it out to attain higher returns. Don’t Doubt The Statistics. Studies and statistics have proven that a disciplined approach to investing delivers higher market returns. Sure, it may not be the most thrilling approach; but it is effective. IF you are a trader without discipline, automating your trade can help immensely. By avoiding the above money-losing moves and following the tips, traders and investors can earn better market returns. However, with algo trading, you can improve your profit returns, while mitigating losses. AlphaDroid, an algo trading platform, can help trades become effective at algorithmic trading. Try a free trial of AlphaDroid today!